and appear in the matinee. Of course, no-one would see me. for I am yet to be born. We become our own feat of magic. and Floris as you change costume. in the painted night sky. This poem was written when I first began taking this research seriously. About 15 years ago, we visited Lochgoilhead where Francis and Hannah Jane Bullen owned a little summer cottage. My grandmother spent a lot of time there as a child, catching the ferry to the harbour from Dunoon. 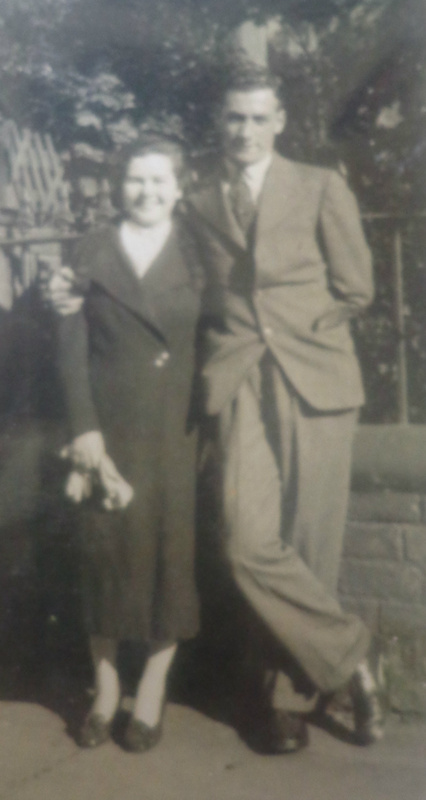 When her chldren were small, the family lived there and Hannah Bullen was nursed through her final illness there in 1925 by my grandparents. I took my family to see where our cottage was and it felt as if I was being pulled towards it by a thread. ' Travelling' is the poem that followed the visit. We asked a man in one of the beautiful, stately Victorian houses near the harbourside if he knew of or knew of anyone who had heard of my family. 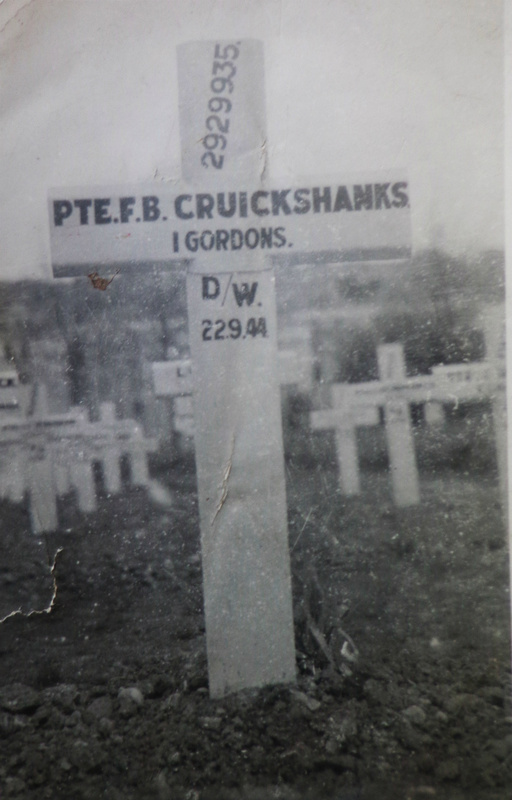 Of course he did not remember the Bullens or the Cruickshanks but why should he? He went and got his gardener, Willie I think, who did not remember our family either because he had only arrived in Lochgoilhead around 1932, by which time my grandparents had left for Clydebank and later on, England. However, both men had a brainwave: in a little cottage at the end of a lane, there was a woman called Agnes who was widowed and had lived in the village all her life. They were sure that she would talk to us. We went and she welcomed us in. I explained briefly that we were looking for the Cruickshanks/Bullen family cottage and she then looked at me really strangely and asked if I was Hannah's daughter. Hannah was my oldest aunt who died when I was four. She and I had had such a strong bond while she was alive and I felt quite light-headed when Agnes thought I was her daughter. It turned out she had been Aunty Hannah's best friend. of roads or finite seas of nautical miles. Instead they follow tracks of memory. to Scotland on a pushbike bought for three pounds. to tell them he was off to war. out of the garden to be lost from view. After realising who I was, she told me the stories she remembered icluding the ones in the poem Travelling. I never met my Uncle Frankie (Francis Bullen Cruickshanks), he was killed in World War II, but she remembered him as a boy, leaving the village in his early teens and returning on a bicyle from England to tell everyone he ws rich (he had come into his inheritance on his 21st birthday), and that he was joining the Gordon Highlanders. Her story of him confirmed other people's tales of him as the handsome, life and soul of the party that my father never quite forgave for getting himself killed. smiling child that she had ever seen. all unkempt, unable quite to comprehend. 'They're still here,' she said. felt like the smooth skin of a well - loved hand. by the spirits of my aunts. 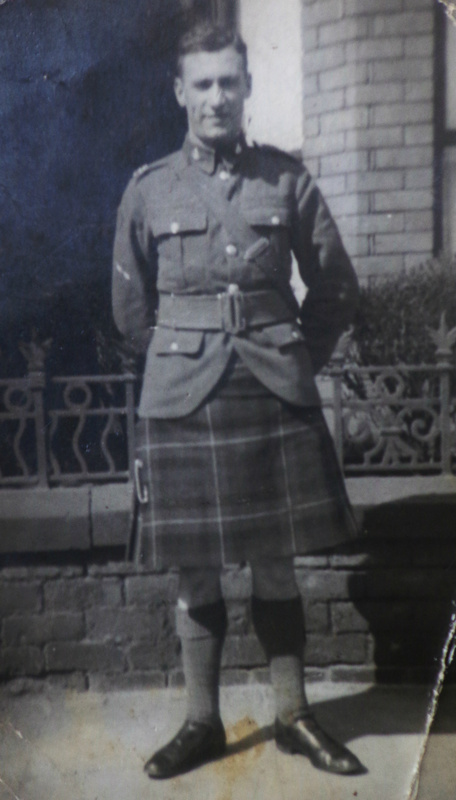 Francis Bullen Cruickshanks wearing his Gordon Highlanders uniform. on this windless, late summer day. that something will happen soon. of whoops, hollers and hurrahs. of whisky, tupenny gin and heavy ale. to Dumfries, Glasgow or Gallashiels. riding towards her on the screen. how that moment made her feel. Based on a story told by my grandmother, Hannah Bullen Cruickshanks.